This tip could be the best kept secret among Santa Cruz Blur, Nomad and V10 owners - Watch and learn.This tip could be the best kept secret among Santa Cruz Blur, Nomad and V10 owners - Watch and learn. 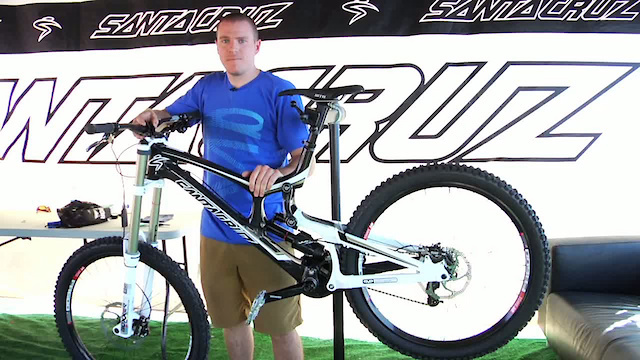 Tech Tuesday comes live from the Santa Cruz tent at the Dirt Demo outdoor expo in Bootleg Canyon. Most santa Cruz owners have a vague idea that their VPP suspension pivots can be adjusted for side play, but if asked exactly how that adjustment might be done, the default would be a blank stare. As it turns out, the angular contact bearings and collet-type axle retention system that Santa Cruz designed for its VPP suspension rarely needs attention - which means that Blur, Nomad and V10 owners rarely, if ever, need to think about their pivot bearings. Sooo, just in case you wanted to know how to adjust your VPP pivots, Santa Cruz Product Manager Josh Kissner takes us through the three-minute adjustment process. Watch and learn. Tip: you may want to do this job simply to check your pivot bearings. Remember that the bearings may be perfectly adjusted, so rather than tightening them just for good measure, back the bearing tension out with the 8-millimeter Allen wrench a quarter turn and then begin the process. The 5-millimeter Allen screw you see on the outer end of the pivots is simply a locking screw, not an adjustment. Snug it up and leave it be. So, that's all there is to it. Explore the vast and interesting world that is SantaCruzBikes.com, and don't forget to tell us if you got your VPP pivots running perfectly smooth, all by yourself. Technical Tuesday #1 - How to change a tube. The procedure is actually also explained pretty good within the tech section of each bike at the Santa Cruz homepage. Essential thing he did not mention: Do not mix Loctite with grease while reassembling the pivots. Nice! I found this through trial and error just this past weekend. This tech tusesday came at a great time since I think I over tightened the axles. Should go back and loosen them up a bit. Thanks pinkbike! Tell me about it! had to replace all my bearings on warranty after a year and needed to retight them 5 times this year! even had to reduce the sleeves so I can tight them enough...now it's fine but I ride it hard all day all the time! love my V-10! @t1mbo why? do u not no how loctite works? course not. This is pinkbike, why would I know anything? Ha dont have mine yet, itl be here in a week though. YEEHAA cant wait to give it a thrash on the local trails. Queenstown baby here I come. Anyone know of a similar type of bearing tune and replacement guide for the Intense M9? Looking at trying it out myself. Easy on the Loctite. Just a single drop is enough. And what happens after a few years when the pivot nut digs a hole in the frame? Epoxy! Does 2010 V10 have this system ? wish I had known this years ago. Thanks guys!!! i have a 2009 v10.is it the same process?? how about the Loc-Tite, do I have to wait until it dries our not? @deadatbirth thats what asmodeuss just said. Obviously you assemble the loctite while its wet but you shouldn't use it for 24 hrs otherwise the bolts can loosen. Have to say I'm a little concerned about using loctite on those bolts. well if someone who works on the bike and for santa cruz says he does then i think you can be pretty sure its fine! Last time I used the stuff, the bolt sheared when I tried to remove it. As those pivot bolts are something I'd like to be able to remove them once in a while. Plus if it was that important how come there was none on when he pulled it out? the loctite had worn away when he removed the bolt but you could see it had been used previously. I didn't see any sign of any previous loctite on there. Besides, what good is loctite anyway if it wears away like that? What kind of loctite you used? The locktite shears off when the bolt is removed. the internal threading rubs the material off the bolt as you remove it. you'll see some residue between the threads, but not a coating.. Red locktite needs to be removed with heat.. it's a 'permanent' use product.. chances are, the bolt had other contamanents that caused it to seize and the head to shear off. Blue is the stuff to use. I hope this helps T1. cheers. A bolt sheared because you used loc-tite? Wow, you are an epic failure. Stop working on bikes. Stop riding bikes. Hit yourself in the head with a hammer and be done with it. There are no stupid questions and comments... just stupid people... and you fall right into that category. And shockie, the red loc-tite needing to be removed with heat also falls into the quote above in this reply. You also have 0 idea what your talking about. Flippen brain dead people on PB thinking they know everything about everything. NO loctite needs to be removed with heat. If you think that you know absolutely nothing about mechanic work. Well done sir, for giving an opinion as fact. And then without provocation jumping straight in with groundless insults and trolling. You are a credit to your country. Have a medal. For those that bother to read this far it doesn't take much of a search (google or whatever) to find that what shrockie wrote is correct. I think it's a video on how to adjust pivot bearings, not how to use a torque wrench. He gives the tightness specs and tells you to use a torque wrench. Seems pretty straight forward to me. The video was very helpful I thought. My pivot was sloppy as hell. I just thought it was just the design - nope. Mine was pretty loose. On a sidenote; "eyeballing" torque isn't that hard. Your idea is flawed and won't show a true torque reading anyway. Even with a torque wrench. Freesty, he is a Pro SC mechanic. He has the torque down by memory. I can torque parts on my truck within 1/2lb of what they need to be by memory. Instead of saying he is a dumbass, how about you just think that maybe this guy works for the company that designed the bike and knows a piss ton more than you about it. If you contest my opinion, I expect you to have a representative mechanic job at Santa Cruz within the next 48 hours. No one called anyone a dumbass rffr! I'm confused how you managed to pull fact out of thin air without proof and then start crying the moment someone dares to challenge you? Get out and ride your bike some more and vent your anger in a positive way eh. I just read through my post and no where do i see the word dumbass rffr. I know he's a pro mech and not a dumbass and i don't doubt that he knows "a piss ton" more about the bike than i do but i still don't believe that he or anyone for that matter can adjust anything to torque spec without a wrench. I'm also willing to bet that you didn't run my experiment (Have your buddy torque something down and not tell you how much force it has on it and see if you can guess) I have done this, when i went through the BBI program to get my Cert 2, and i'm telling you there is no way you can know the exact torque even by supposed feel or memory. Not even if you use the same wrench with the same length (and therefore same leverage) it's not possible. If you can do it than post a vid and then you can make a living going around recalibrating wrenches for shops who don't want to pay the fees for having em sent in and calibrated by high precision machines. As to erok81, you are right, i was picking out a small part of the video and it wasn't fair to bash the whole tech tip, but it seemed like he was doing the job only half right by not having his torque wrench and if he was actually adjusting it for a race instead of a video he half cared about, then he'd have gone out and found one cuz that kind of slop doesn't fly at the pro level. I posted my comment because i'm tired of people perpetuating the incorrect notion that you can adjust things to spec just by hand without the proper tools. My 2011 V10 carbon has been creaky all season, but it's the bolt at the adjustable travel plates at the bottom shock mount that are the problem on mine. 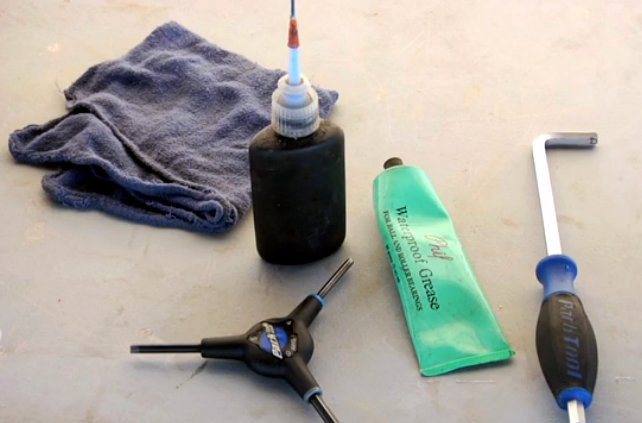 Every few days you have to take it apart, clean, grease and re-assemble to eliminate the creak. (it is loud folks) Spoke w SC about it who say they will deal with it one way or the other, but so far just ask me to grease and try it again basically. Gonna to send some steel parts to replace the ti ones, somehow I don't think that'll do it. Bike is great for a few days until the creak returns making the thing sound like a Walmart special! Not too happy to say the least! My V10 has been tight and squeak free all season. It's the only DH bike I've ever had that has been this maintenance free. The angle set on the other hand took a while to stop from clanking hard on big hits, but with some tinkering that finally went away. SC's pivots really are the best. Why are people negative propping my comment? It was only a question for gods sake. Were a biking community let's keep it friendly! You butthurt the SC lovers. PB is not a biking community. Its all about butthurt. Pezlar, depends on the year of your V-10. I'm not sure when the collet design was introduced.. apparently all the new bikes have them. Jim, The lower shock bolt spec is 140 inch/lbs.. have you replaced all the spacers and the DU bushing? might be worth a try.. it's a cheap fix. There shall be no peace!!! I saw some cracked Kona frames and Marzocchis with bushing play out of the box!